She was twelve when they moved. I imagine she was perfectly happy with her old life. An only child probably showered with attention by her Mom and Dad, despite their very busy jobs. She was, by all reports, precocious, studious (she even skipped third grade) and content. Her Dad even had a little desk set up in his office for her so she could work away at his side while he signed papers and made conference calls and who knows what else. Then, they moved. And, everything changed. Suddenly everyone noticed and everyone cared and everyone talked about not just the twelve-year old’s parents but about her. The wildly curly hair. The braces. Her awkward teenage ways. She was a bit of a nerd, no doubt about it. And now she was a nerd on the cover of magazines. Great. ‘Cause that’s exactly what a geeky teenager in a new city with crazy hair and no friends wants…lots of attention. Awesome. The red velvet puffy dress was clearly helping her look. I’d hide a little, too. It didn’t matter what she looked like, anyway. Not to her parents, certainly. She was a child. Twelve years old and thrust into a spotlight she never asked for. Although, they weren’t doing her any favors dressing her in political t-shirts with freakin’ elephants on the chest. Thanks for that, Mom & Dad. She got used to it, though. Grew up a little. Matured. Straightened her hair. And then her Dad (shakes head)…oh, her Dad. He blew it. Or, actually, scratch that. An intern ho “blew it” for him. Can you imagine what was going through Chelsea’s mind when this all broke? Gross, Dad. Apparently, Chelsea wasn’t the only one who liked to “work away” at the desk in Bill Clinton office. I bet a lot of you wondered why the hell Hillary kept Bill around after all that ugly stuff went down. I know I certainly did. Sure, politics had something to do with it. But, my feeling is that, well, they’re a little family — just two parents and their only child. Three people who all needed each other. Needed each other politically maybe, but needed each other emotionally as well. 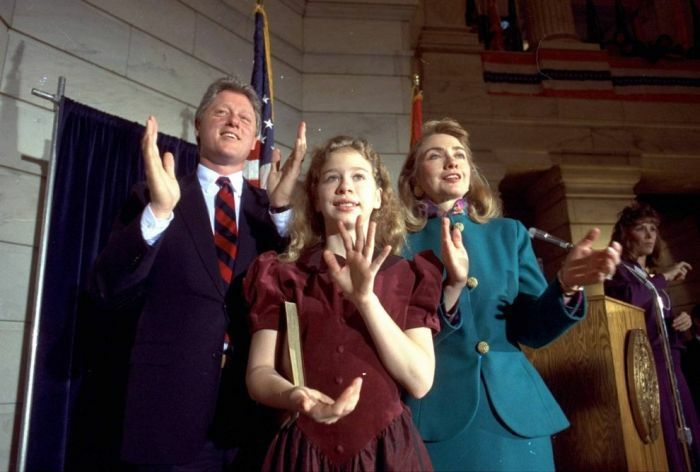 Chelsea’s Dad needed his wife and his daughter when he was a big, stupid, horny moron in the White House. And, that sucked for them. 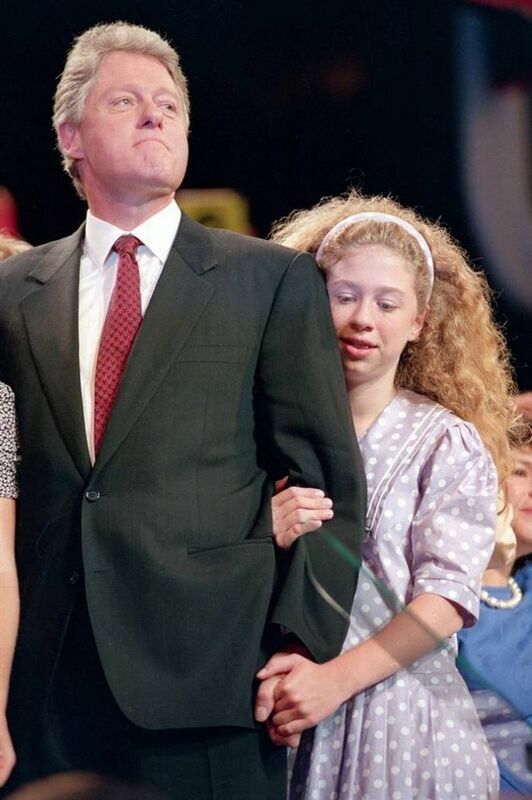 I bet Chelsea felt so sorry for her Mom but, despite it all, she still loved her Dad. Because even when your Dad acts like a jerk and disappoints a few people, if you’re his kid, you still love him. And you’ll defend him. That’s just the way it is. She stood by him then and I bet she’d do it again tomorrow. And then her Mom got the big idea to run for the Presidency herself. Good idea, bad idea, either way. Chelsea eventually said “go for it, Mom”. 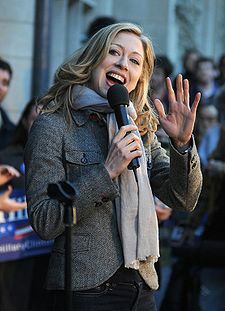 And, even though it was basically her life’s mission to stay the hell out of the spotlight once they left Pennsylvania Avenue, she did a little stumping for her Mom, too. Which made her all twitchy and nervous and she probably hated every second of it but, well…her Mom needed her. ‘Nuff said. Chelsea’s getting married in a few weeks. To a guy named Marc. 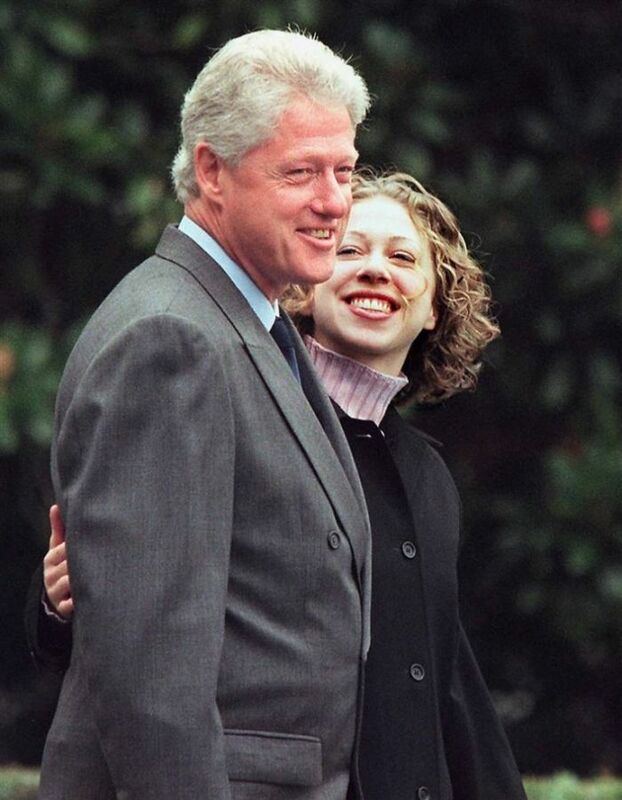 Her Mom and Dad will be there by at her side as Chelsea starts a new chapter in her life. She’ll be a wife. And someday, maybe, a Mom. I bet she’ll try to do a lot of things better than they did. But, I also bet she can only hope to do other things half as well. And, since she’s an only child, the time will come when her parents need her again. Need their only child to help them up the stairs, need her to make some important decisions on their behalf, need her to not crumble in a heap on the floor when she faces the idea of losing one of them someday. Both of them someday. And, even though she’ll have Marc to support her, she’ll still be very much alone. The only child. And, that’s scary. So, when she says “I do” (or buys that new house, or has that baby, or gets that job) she’ll know her parents are behind her smiling. Supporting her. Loving her. As a team. Love them, hate them…they’re a team. Did you like it? Share it. Pretty, please? Remember though, she could be harboring a lot of rage inside and stick them in a crappy nursing home. Thanks, Samantha! For some reason your comment went to spam. Heading over the samanthaontherun right now.